Xbox Game Pass Will Now Include New Microsoft Studios Titles | Nerd Much? In the console war of this generation, each side certainly has their perks. Sure, Sony and the PlayStation 4 have a first-party catalogue that is unrivaled. But what Microsoft is doing with their Backwards Compatibility and the Xbox Game Pass is unprecedented. And today it just got much better. Phil Spencer, Head of Gaming at Xbox, took to the Xbox Wire this morning with a major announcement. 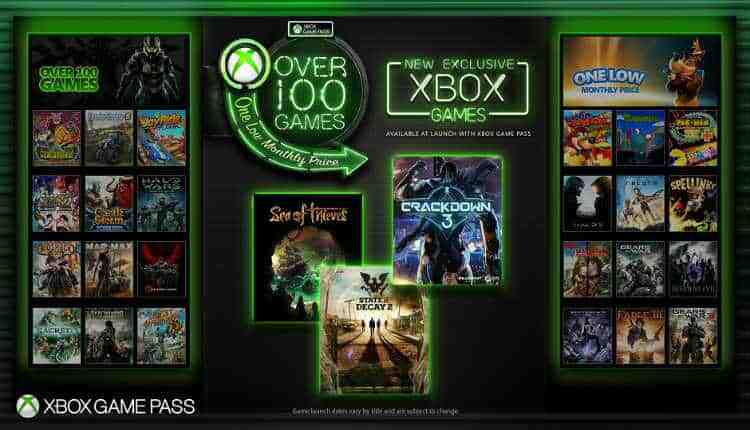 The already incredible value that is the Xbox Game Pass is poised to add even more to its repertoire with a major expansion to the program. Spencer announced that from here forward, all titles being released under the Microsoft Studios umbrella would also be available via the Xbox Game Pass. No additional tier to the program. No delay on the game’s availability. If you own a subscription to Xbox Game Pass, you own every Microsoft Studios title on the day they release. “Moving forward, we plan to release all new Xbox One exclusive games from Microsoft Studios into Xbox Game Pass on the same date as their global release. This means that when Sea of Thieves launches on March 20, it will be included in Xbox Game Pass to all members. It’s not hyperbolic to think that this is a revolutionary step for the game industry. And it’s an incredible value to every Xbox One owner who spends a good amount of time playing video games. And Spencer agrees, stating that he and his partners have “only scratched the surface of the opportunity this new model brings to the industry and what we can deliver to our fans. We firmly believe Xbox Game Pass will be a catalyst to create new opportunities for game developers and publishers to innovate in the way games are developed and delivered, leading to entirely new ways to play. Sony certainly has the first-party exclusives at this point to legitimize their market share this generation. But if Microsoft keeps this kind of good will coming towards its fans, it will be quite hard to ignore their potential return to forefront in the future.